When you read about other people’s real estate successes, do you think to yourself, “I already made my decisions, and now I just have to deal with it”? I’m here to tell you that there are plenty of things you can do to get a good financial result from homeownership decisions that you already made! 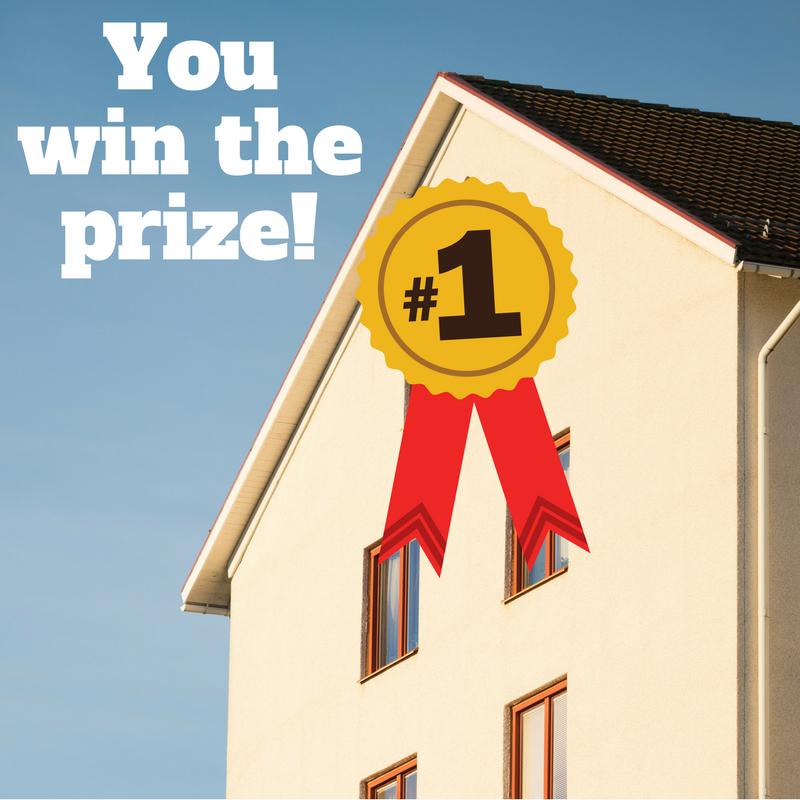 Maybe you feel like you bought your home at a peak in the market, and feel envious of someone else’s big win. Perhaps you’ve had to do a lot of unexpected repairs and feel like you got a bit of a lemon. Or, maybe you think that the decisions you’ve made up until now have put you on a trajectory where there is no room for adjustments. You’ve made your bed, and now you are lying in it. Forever and ever. Until sale do you part. Well, put those thoughts aside because I’m about to give you five ways to change your thinking and your destiny and get a great result from homeownership. Sure, real estate is a numbers game, but not the way you might think. Let’s unpack that for a second. If you bought your home for $500,000 and now it’s worth $700,000, that’s pretty great, sure. But, what if you pay a big monthly cost to run it? Or, made a ton of costly home improvements or repairs? Maybe you spent $300,000 more than someone else did in the same course of time. See what I’m saying? Fact: An increase in home value can be a poor indicator of success. No matter how much you bought your home for or how much its now worth, your financial situation is the sum total of financial decisions, many of which you absolutely control. Winning at real estate is really about maximizing your gains and reducing your costs, and there are many ways you can do this, and some that will surprise you. You can be an active participant in your financial success with your real estate. As any savvy investor knows, whether you buy a prize winning Arabian horse or a Sparksman and Stephens 1938 sailboat, there are costs associated with maintaining any physical asset. Horses need food, vets, trainers and boarding, and boats need mooring, storage and professional care. Homes need energy, maintenance, and require that property tax be paid, among many other things. Some of the costs you can’t control. Your municipality decides how much you must pay in property tax, for example. But there are many, many household costs and decisions that you can control. Energy costs can be strategically reduced, for example. Over the years, Homeownering has developed a powerful method for 1) identifying your costs and 2) reducing them with major impact. Look at it this way: if you made one decision that saved you $500 a month, $6000 a year, that’s worth a $30,000 appreciation in five-year home value right there. There are tons of corners to cut, so many ways to optimize your savings and reduce your expenses. The first and easiest way is to sign up for our savings planner where we send you actionable ways to cut costs every single month. And, it’s totally free. Zzzzzz. What’s that you said? Home equity? Why would I want to know about that. And, what is it anyway? You know how earlier we were talking about how the increase in value in your home price isn’t all that informative, as someone whose home goes from $500,000 to $700,000 could have a lot of reasons why they spent more or made less than someone else? That’s because when you sell your home, the number that really matters is how much money you actually get back in the form of a check. If you owe a lot on your mortgage, and your home appreciates more, you’ll still get a smaller check than someone who owes less and whose home appreciates less. Blah, blah, what did you say? Let’s try this. Do you like money? I do. 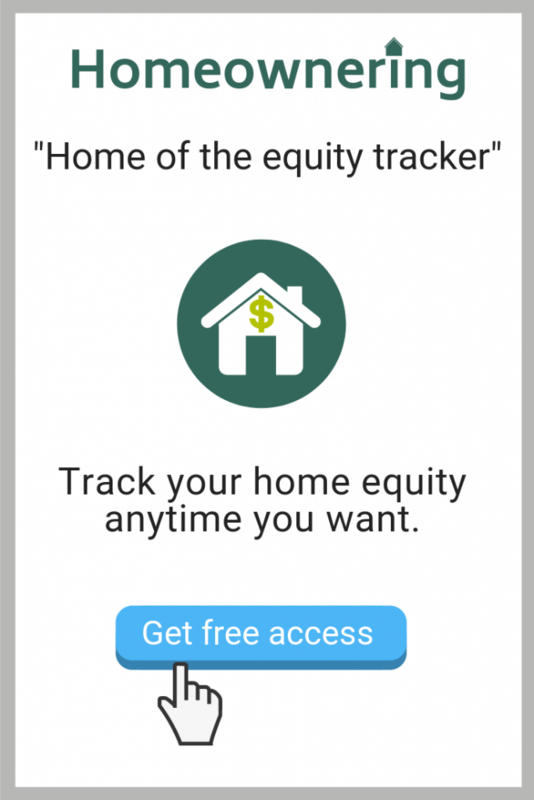 We made an instant report for homeowners to learn how much home equity they have that’s completely free and takes just a couple minutes with easy questions. Feel free to run it whenever you want to know how much equity you have in your home. Home equity is YOUR MONEY. It’s the check you get. It’s the money you have to run away with to a tropical island and live out your days sunning yourself with a Mai Tai in your hand. Or, more practically, it’s the money you have to stuff in your bank or investment account and live more comfortably than you would if you retire. Or, how about, it’s your money, so it’s good to know how much of it you have and to protect it. And, yes, it’s true that the more the value in your home goes up, the more home equity you will have! Why not learn how to make your home value go up? Similar to our all the ways that we have to save you money, if you sign up for our planner, you’ll get monthly emails on all of the ways you can boost your home value. By saving money and keeping an eye on your equity, you can turn a so-so investment go-go one. Mortgage people love to sell refinances. And, it’s easy to make a refinance look good. Then, the bank gets their fees, usually 1% of the loan amount. But, what do you get? A deal that looks good on the surface but maybe really isn’t. Why is it easy to make a refinance look good? Because if you’ve been paying your loan amount down by making regular payments, your loan balance shrinks. When you go to refinance, if you refinance a smaller amount, your monthly payment for a smaller loan balance would naturally be smaller. But here’s the rub: you pay more interest in the beginning of any mortgage due to amortization. If you are a few years in, where you are paying less interest and more money to principal, more of your payment is going to paying down your loan amount. Even if you get a lower interest rate with a new mortgage, you could still be spending more on interest even though your monthly payment is smaller. You’ll also have a bunch of refinancing fees that will be rolled into your new loan amount, making you owe more. What’s the solution? It’s simple. Pay attention to your home equity and your total cost when you refinance. Look at in year 3, 5, 10 and 15 what the total amount you will spend will be and also how much equity you will have in your home. Often, homeowners find that a refinance isn’t worth the hassle. There are really good reasons to refinance, of course, including dropping your monthly payment, particularly if you are having financial trouble. But, you want to be aware of these risks, and no loan officer is likely to tell you about them! I want to tell you a story about two siblings, Manny and Franny. Manny has a beautiful house with a gorgeous infinity pool and custom marble throughout his home. His home has gone up in value by over 30% since he bought his home ten years ago. Nevertheless, Manny is in very bad financial shape and owes more than his home is worth and has very high monthly costs, considering his home value and size. Franny also has a gorgeous home in the exact same neighborhood as her brother. She has a beautiful English garden, a sun room and gorgeous French doors and balconies. Her home has appreciated more modestly, at 10% over a ten year period. Franny is in excellent financial shape. Her costs are relatively low, and she’s living very comfortably, with a good chunk of equity. When she sells, she’ll get a ton of money in her pocket. What’s the difference? A year ago, a terrible fire ripped through Manny and Franny’s neighborhood, and both houses got severely damaged. Manny only had insurance on 80% of his original replacement cost, what the bank required, and he had never adjusted the replacement costs upwards when he did his many home improvements. Manny had no money from the insurance settlement to redo his beautiful fixtures, let alone finish the repairs that were needed from the fire damage. He had to spend, spend, spend. Not only that, but prior to the fire, Manny had not addressed a foundation issue that grew into a larger problem and added even more to his costs. Franny, on the other hand, had kept up on her insurance, insuring for just the right amount and adjusting the replacement costs as she made home improvements – 100% of replacement value. She also fixed the little maintenance problems that cropped up, leaving her home in good, solid shape and causing her to spend less money over all. Maybe you think this is an extreme example, but it’s more common than you might think. Making small repairs before they become more costly ones and insuring your home for the right amount are two powerful ways to control risks and keep your costs down. Oh, and while you’re thinking about your insurance policy, why not negotiate the amount you pay down? 😉 Save even more! I believe in the miracle of continuous improvement. Maybe you’ve made a lot of mistakes as a homeowner. It’s ok. I have, too. But usually, as a homeowner, you’re playing the long game. You are in it for several years. Maybe even decades. If you find that you feel that you made a lot of mistakes that are now costing you, don’t fear. There are many ways you can make adjustments, even those that seem incremental, that will pay off down the road. Follow these tips to adjust your thinking and approach and see returns come for you, too. If you want to learn more about how to win at homeownership, check out, “Avoid the Money Trap, Turn Your Home into a Financial Powerhouse“.